Is Mindset Block a Lack of Listening? I read two great blogs in the last couple of weeks: David Harkelroad’s which asserted that the biggest problem in strategy is mindset; and an HBR blog on “What Gets in the Way of Listening?” I think they are related since if you truly listen, you are open to having your mind changed. There are many reasons people don’t listen well. We aren’t trained on listening from childhood with the competition that seems to thrive in the classroom for the best answer, to be the best, often at the expense of the other students. Sometimes we don’t listen since we’re scared. We are trying to appear confident and assertive and miss others’ perspectives in the process. I like the flexible mindset shared in the HBR blog, “I do have a viewpoint going in, but I don’t assume or try to show I’m the smartest person in the room. I’m willing to hear them (colleagues) out for the sake of getting the best answer, not just my answer.” Listening is a sign of incredible self-confidence. Back to David’s point about mindset. I think many leaders don’t fully listen since they aren’t confident, but they want to appear confident. In the example cited of Blockbuster’s Wayne Huizenga having the intelligence to get into digital media, there is something that stops many executives from taking corrective action. Maybe the extremely generous pay that executives receive clouds their judgment and reinforces them not to change their mindset. “Leaders who take organizational conversation seriously, know when to stop talking and start listening.” (“Leadership is a Conversation” by Boris Groysberg and Michael Slind). When you put aside your fear and anticipation, you are more open to listening. You are fully present and ready to respond to whatever gets thrown your way. You’re not thinking about what you might say next. You realize that a critical part of your job is to fully listen. Good interviewers and journalists have known this for years. Interestingly enough, when you focus on yourself, you can pick out your listening weaknesses. Do you listen to your inner critic rather than your audience when giving a presentation or sharing findings in a meeting? Does your listening shut down when you are emotionally uncomfortable? Are you trying so hard to show confidence and be right that you aren’t listening? 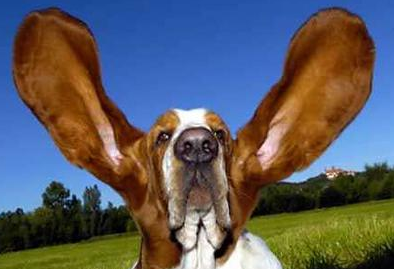 I am curious as to how others deal with their leadership’s lack of listening ears? I know as a telephone interviewer that there are not enough listening ears and that job disengagement in the US is around 70%, so if they answer their phone, they are likely to be informative.